The live sheep export industry needs to improve animal welfare but banning the trade would only hurt agribusiness, Ruralco's chief executive Travis Dillion says. Ruralco, which provides a range of agricultural services, unveiled a 29 per cent lift in first half profit to $16.1 million on Tuesday. But the group's live export business which provides marketing services for sheep, dairy and beef exporters made an $800,000 loss due to "tough trading conditions." Mr Dillon wants to see live exporters lift animal welfare standards and does not believe the federal opposition's plans to end the live sheep trade is in the best interest of the agribusiness sector. 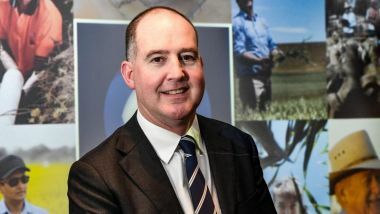 "Anything that affects a farmer's return has a negative impact on our business so our preference is for live sheep exporters to improve their compliance and to improve animal welfare," Mr Dillon told AAP. "We wouldn't like to see the industry closed." Mr Dillon said footage aired last month on the Nine Network's current affairs show, 60 Minutes, of sheep inhumanely packed in long-haul live export vessels was an example of "inexcusable" practices. Ruralco's diverse portfolio of businesses has helped offset weakness from the live export sector and a decline in earnings from livestock sales agent activity as cattle prices continued to soften. The group's rural services, water services and financial services units all contributed strong earnings growth. Mr Dillon said a bumper summer crop season led to strong growth in fertiliser sales, while animal health and stock feed and fencing sales also grew strongly during the half. However, herbicide, insecticide and fungicide sales are expected to be dented by a lack of rain in autumn and there is potential for seasonal and market volatility in the second half of the year, he warned. Mr Dillon said the business will focus on efficiencies and expanding its private label products, while the geographic mix of operations will help mitigate any effects of seasonal volatility.